Macross Frontier is the story of a human space colony fleet trying to find a habitable planet near the center of the Milky Way. The story focuses on three young adults (a famed pop singer, a private military pilot, and a rising pop singer) and the events that occur around them as the fleet faces a crisis of alien origin. Macross Frontier (マクロスF (フロンティア) Makurosu Furontia) is a Japanese animated science fiction space drama that aired in Japan on MBS from April 4, 2008, to September 26, 2008. It is the third Japanese anime television series set in the Macross universe. Macros Frontier is the third outing for the Macross franchise, following Macross Plus. This series seems to be aiming for the younger demographic than Plus. The animation and combat are beautiful to watch. Very likely the majority of the budget is put into the animation. The remaining funds were put into the music. 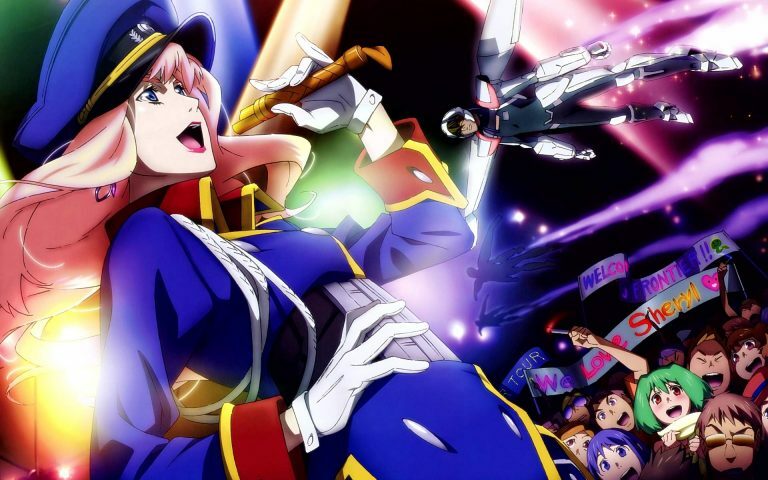 Macross Plus use a mixture of 2D and 3D animation. Most of the combat and dogfight used 3D CGI, which I think does a good job. Speaking of the music, Macross Frontier has some incredibly catchy songs. Though after a while, some of the songs start to sound the same. The stand out songs are “[トライアングラー] Triangler” by Maaya Sakamoto, “Lion” by Ranka Lee & Sheryl Nome, “[星間飛行] Seikan Hikou (Interstellar Flight)” by Ranka Lee, and “Aimo” by Ranka Lee. I especially love “Aimo” but I suspect this song was inspired by “Voice” from Macross Plus. While Macross Plus focuses on the story with romance as a backdrop, Macross Frontier pushes the love triangle to the forefront while the plot is the backdrop. Frontier writing also suffers from the convenient plot trope. Characters just randomly meet at the right time and the right place, continuously. I still recommended Macros Frontier for newer anime viewer and Macross fan. This anime may feel too shallow for some viewers. The anime contains some graphic violence and moderate sexual suggestive themes/dialogs. Intended for young adults. "You should stick to the path you believe in." "I've come this far all by myself, using my own strength!"